I loved everything that I received in my Fanchest! It will help grow my collection, and show off my teamm spirit. Amazing !! Got it for my girlfriend for her birthday and she absolutely loved it. Totally made her day. Thanks Fanchest !! I gave this to my nephew as a gift and he loved it... (even though it killed me being a cowboy fan, lol). I knew he would! Quite Simply - The perfect gift for Dad this Father's Day. and the chance to win signed memorabilia or VIP tickets to games! 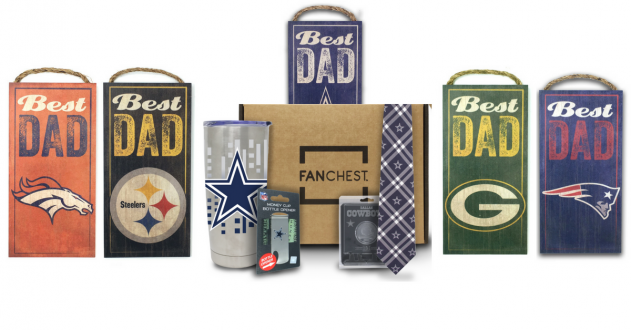 Father's Day FANCHEST includes gear specific to Dad, including Ties, Socks, Hats, and more!